Installing a low-flow shower head can yield buckets of savings. Read on to learn more about this quick, budget-conscious DIY. Believe it or not, showers use (and waste) more water indoors than any other single household activity or chore. 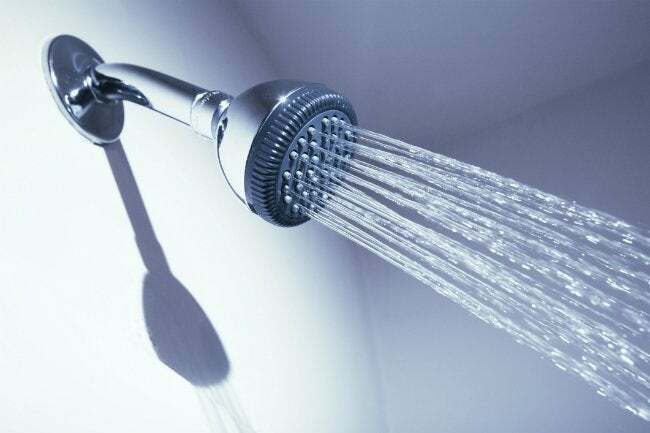 In fact, showers account for nearly 17 percent of the total amount of water used inside the home. According to the U.S. Environmental Protection Agency (EPA), that translates to about 40 gallons per day for the average family; factor in the number of households in the United States and this routine hygiene uses up a whopping 4.9 billion gallons of water by day’s end. Whether your focus is on decreasing your water bill or conserving our planet’s scarce resources, you can take a big step toward your goal with one small change: replacing your shower head. Swapping out an old, gallon-guzzling shower head for an EPA-certified model can save your family an average of 2,900 gallons per year. Wasting less water during each daily shower means you’ll spend less money on the water bill—a increasingly vital concern for the typical household. Indeed, the average monthly water bill has climbed 41 percent since 2010, according to Circle of Blue, a water-monitoring organization. But beyond simply saving H2O, a low-flow shower head can also shrink a second utility bill—your energy bill. 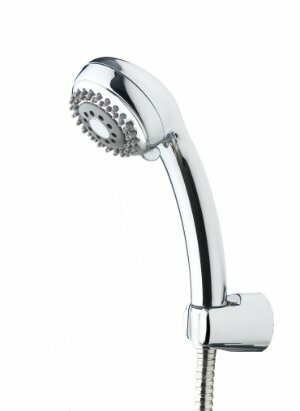 “Less water out of the shower head is less water that you need to heat up,” says Daniel O’Brian, a technical expert from online retailer SupplyHouse.com. And O’Brian isn’t just talking about chump change: According to EPA figures, the average family switching to an especially low-flow shower head could save more than 370 kilowatt-hours of electricity annually, enough to power a house for 13 days. So, does your current shower head offer room for improvement and the possibility of savings? “Shower heads installed prior to 1994 could have flow rates of upwards of 5 gallons per minute (GPM), which can be excessive,” O’Brian says. For comparison, all models made and sold in the United States after January 1 of that year were required to have flow rates that max out at 2.5 GPM—half the previous output—and some stand-out shower heads perform even better. Models labeled ‘WaterSense’ have flow rates of 2 GPM or lower, and are considered ultra high efficiency. To find out if you’re one of the many homeowners or renters whose bills could benefit from a switch, try this easy one-minute experiment: Place a bucket marked with gallon increments underneath your shower head, and turn on the water at whatever pressure you typically set for a shower. Time how long it takes the water to fill the bucket to the one-gallon mark. If water reaches that mark in fewer than 24 seconds, your shower head is putting out more water than necessary for a comfortable shower. This means that you could save water by switching out your shower head. While early models of water-saving shower heads were plagued with problems, from weak flow to sudden temperature variations, there’s not much of a downside now. Updated designs corrected many of these past deficiencies, and today’s low-flow models offer satisfying shower experiences that are equal to, or in some cases better than, those offered by conventional shower heads. Low-flow models sport a selection of finishes as well as adjustable spray patterns and modes, with settings that range from a gentle mist to an invigorating massage. Better still: Water-saving shower heads are comparable to their standard counterparts in cost, and offer basic, mid-range, and luxury styles to choose from to suit any budget. While a modestly priced model can certainly get the job done, higher-priced shower heads generally include extras, such as a radio, rainfall settings, and handheld options. “As with many products, do your homework before buying a low-flow shower head,” advises O’Brian. First, familiarize yourself with the two main types of water-saving shower heads. Aerating models mix water with air, creating a misty spray that gives the illusion of increased flow, while laminar-flow shower heads emit dozens of parallel streams. Because these don’t mix air into the water, they tend to retain heat a little better than aerating models. Once you’ve settled on a model to suit your household’s needs, installation is generally a breeze. “In most instances, you simply shut off the water, unscrew the old head, and screw on the new one,” O’Brian says. “You might find an adjustable wrench comes in handy to remove the old head, and a little bit of plumber’s tape wrapped around the threads can help prevent leaks.” In less than an hour, you can have a new shower head in place. Your DIY project will start paying for itself almost immediately. For help sifting through the variety of water-saving options available today, including models from industry-leading brands like Jones Stephens, Wal-Rich, and Zurn, contact the experts at SupplyHouse.com.